This site is dedicated to the Men and Women who have lost their lives in battle, serving and protecting our country, and those still serving today. Remember, freedom is not free, therefore please remember to get registered and Vote in November! 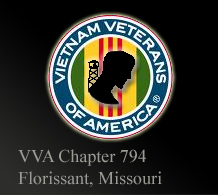 We want to recognize all Veterans for the Pre-Game Ceremony to HONOR all who served in the Vietnam War ERA a Very critical time in our History. The Game is Sunday 19 August at 1:15 vs. Brewers with the Honor Ceremony at 12:30. $59 Tickets for ONLY $27!